At Any Boat, we take marine safety seriously. 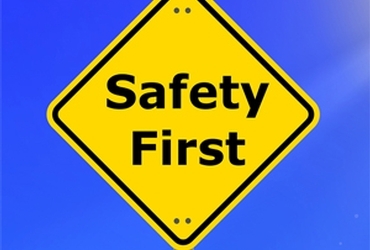 Our aim is to make sure that you have a great time on the water with us this summer but more importantly safety is paramount. We've compiled a simple checklist of items that may just save a life this summer. 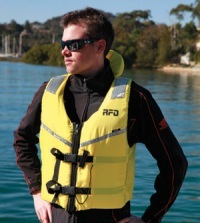 Lifejackets – are one of the most important pieces of safety equipment on any vessel. For most recreational vessels, lifejackets are required for each person on board. Anchor – Make sure your anchor and chain are in good condition. Finding a nice secluded bay to stop at isn’t the only use for anchors. They’ll come in handy when staying put overnight or when you’re in distress. Compass and chart – If you’re going offshore, you have to have a compass on board. Even if you’ve got a satellite navigation system on board, a compass will help you find your way back if these systems break down. An EPIRB – otherwise known as an Emergency Position Indicating Radio Beacon. These little devices truly are lifesavers. Ranging in price from $200 - $350 dollars, they are worth the money if you find yourself drifting away. Bucket – you should have at least one solid bucket that you can use to bail water out of the boat or for fighting fires. Flares – Not to be used at soccer games, flares are actually used to signal that you are in trouble. Only ignite them when rescuers are in view so that you can guide them to you. Marine Radios – if you are going more than two nautical miles offshore then a marine radio is compulsory. Paddles and Oars – Self-explanatory and hope you’re not too far away if you have to start rowing.